The representatives of the University of Silesia in Katowice will participate in an educational mission in India, which will take place from 31st March to 7th April 2019. The main point of the visit is to promote the University of Silesia during the IndiaEduExpos fairs - a series of education fairs happening all over India, The meetings, in which Polish delegation participates, concern Mumbai (31st March), Chennai (2nd April), Bangalore (4th April) and New Delhi (6th and 7th April). Apart from the fairs, delegates of Polish universities will participate in the meetings at some of the best Indian higher education institutions and secondary schools in order to promote the education in Poland. 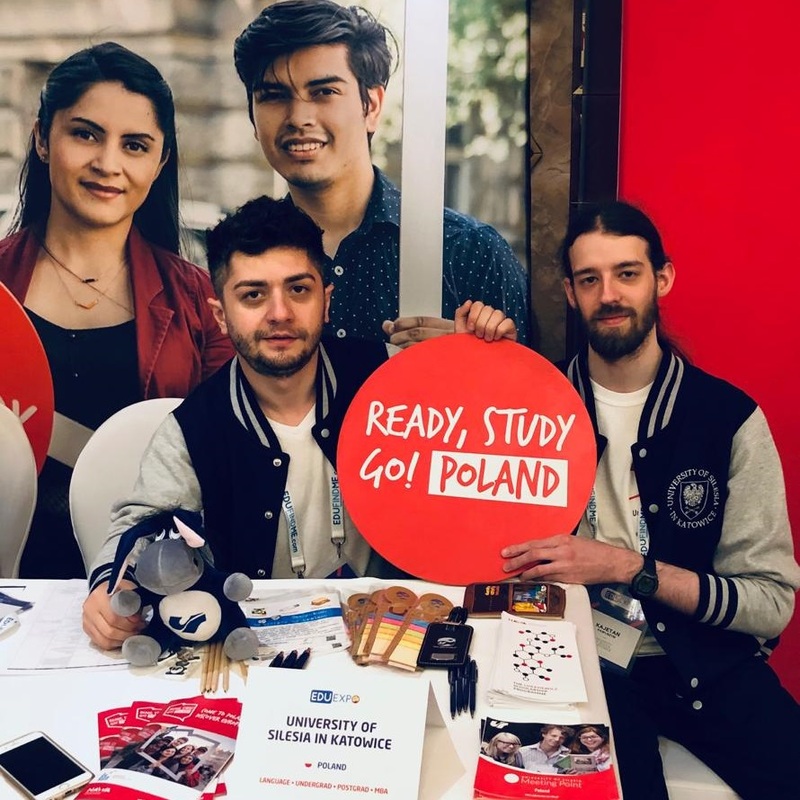 The delegation of the Univetsity of Silesia consists of the employees of the International Students Admissions Office - Giga Gogosashvili and Kajetan Pawliszyn. The event is organized by Polish National Agency for Academic Exchange in the frame of the "Ready, Study, Go! Poland" campaign.